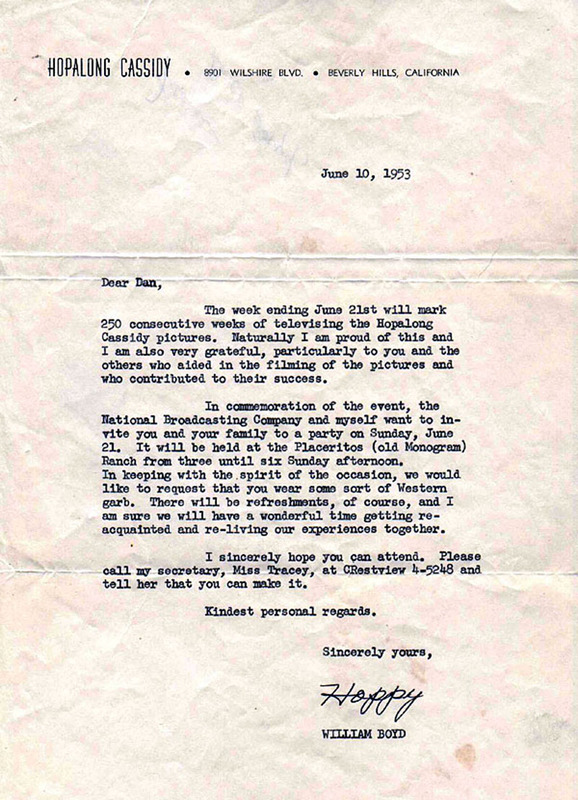 Invitation from William Boyd (1895-1972), aka Hopalong Cassidy, to a party at the Monogram Ranch on June 21, 1953, shortly after the ranch was purchased by Gene Autry and renamed "Melody" Ranch. Sent to Daniel M. White (1908-1980), a character actor who frequently portrayed villainous roles in Westerns of the 1940s and '50s. White appeared in the 1943 Hoppy film, "False Colors."